July 26, 2017 (Germany): The global halal industry is only merely limited to Muslim countries but non-Muslim countries have also joined this multi-trillion-dollar industry. With the increasing interest in promising halal industry, the need for certified halal products is also increasing to satisfy consumers. However, the global halal industry is facing acute shortage of skilled halal auditors. By keeping this factor into consideration, Amanah Halal Research Centre has launched 3 months comprehensive online Certified Halal Auditor study program to provide an opportunity to those individuals who are already working in food industry and to those who aspire to work for halal industry in future. Amanah Halal Research Centre has developed a state of art online learning tool which is supported by BJ Technologies. This tool enables registered participants to access learning resources 24/7, opportunity to interactive with their tutors, watch online videos and complete their assignments and exams. 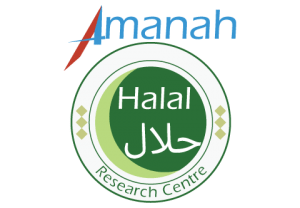 Amanah Halal Research Centre (Amanah HRC) is an international organization working globally and has offices in Pakistan and Germany. Amanah HRC has signed collaboration with leading universities and companies in over 30 countries such as Italy, Germany, Pakistan, Iran, UAE, Malaysia and Nigeria. Amanah HRC is committed to promote the halal industry and it provides a diverse range of unrivalled services which includes advisory and consultancy, Halal certification, market research and development, education and capacity building, strategy design and implementation, publications and conferences.